ALL FLAGS ON THIS SITE ARE MADE OF 100% POLYESTER FABRIC UNLESS STATED OTHERWISE. ALL FLAGS CAN BE ORDER IN LARGER OR SMALLER SIZES. NYLON OR COTTON FLAGS ARE AVAILABLE AND IN STOCK. PLEASE CALL FOR THE PRICES. 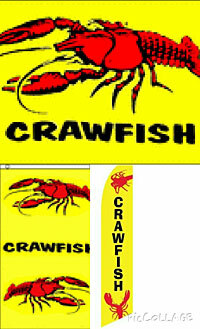 Cajun, Crawfish Flags, USA, International, State, Latin America, Swooper, Military, NFL, Rebel, Pirate, Checkered, Message, Solid Colors, Historical, USA Novelty, Car Flags, Rainbow, Stick Flags, Canadian Provinces, Animals, Seasonal, Occasions, Religious, Crawfish, Truckers and many, many more flags! Car Window Flags Available! Also Crawfish And Cajun Flags! We Have A Large Assortment of Flags! Call to find out if we have what you need!